A new academic year has started at the European School Copenhagen, and on August 11, the teachers and pupils welcomed the new nursery arrivals. The students sang a song for the excited newcomers, who also received a t-shirt bearing the school’s logo on their first day. The European School Copenhagen is a multilingual and multicultural school with a special focus on languages and science, providing a complete educational experience from nursery to baccalaureate. The school is a department of the internationally recognised Sankt Annæ Gymnasium, with a shared board and principal. 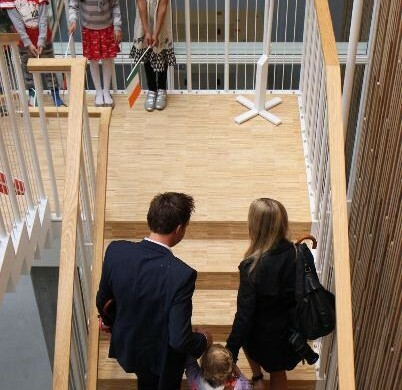 In August 2014, Copenhagen Municipality approved the construction of the European School’s new facilities in Carlsberg City. The new school building is expected to be finished in 2018 and will accommodate 900 students.